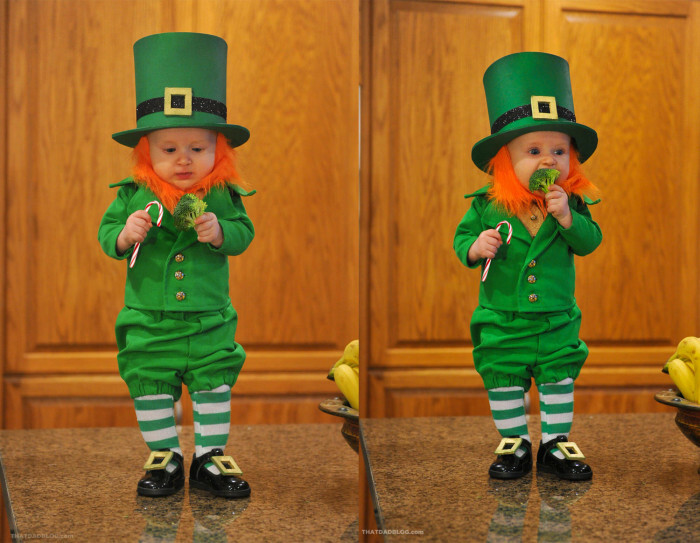 Update: Since this story was first published in 2016, dad Alan Lawrence has continued posting photos of his family, and TODAY Parents has confirmed the very important news that the little leprechaun baby is still adorable. 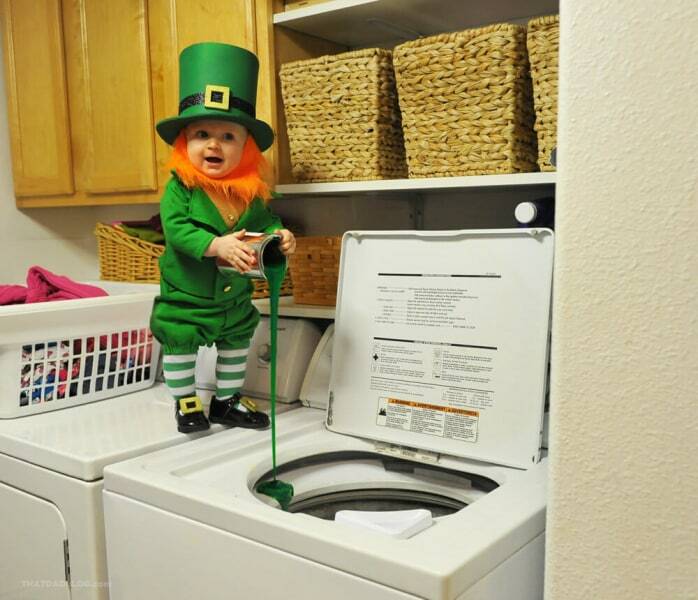 One father's St. Patrick's Day tradition is getting us all into the holiday spirit. 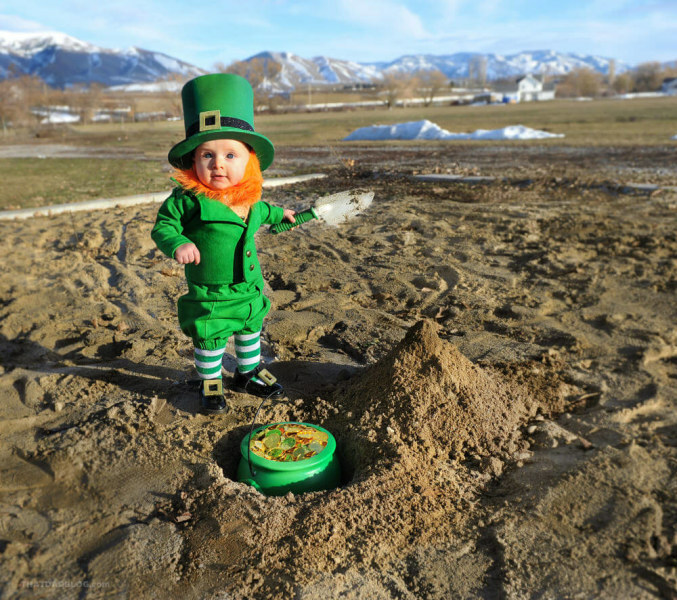 Alan Lawrence, a dad of five who lives in Paradise, Utah, had so much fun turning his son Rockwell into the Elf on the Shelf in December that he decided to continue the story with other holidays. 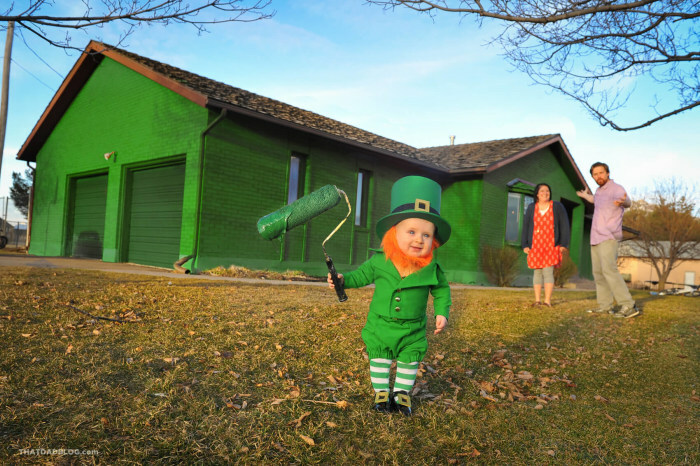 His adorable photo series features the boy dressed as a leprechaun, just in time for St. Patrick’s Day. 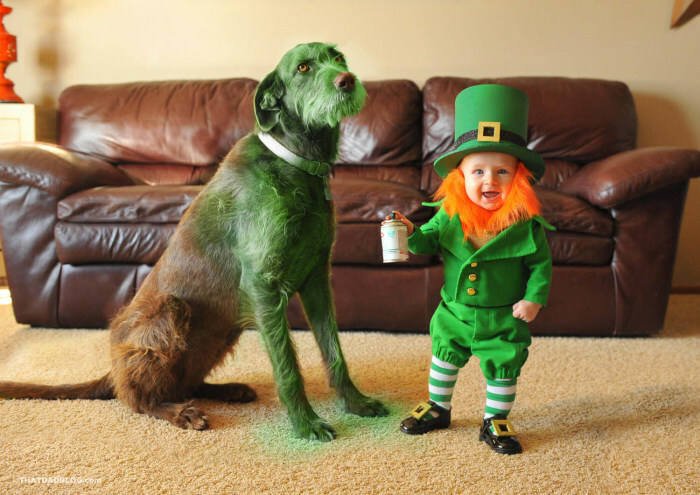 You can find the images on Lawrence’s That Dad Blog, plus his Instagram and Facebook pages.